The latest summer excavation season began this past week, with 100 diggers from Canada, South Korea, the United States and elsewhere, adding to the wealth of relics found at the site since Maier's project began in 1996. In a square hole, several Philistine jugs nearly 3,000 years old were emerging from the soil. One painted shard just unearthed had a rust-red frame and a black spiral: a decoration common in ancient Greek art and a hint to the Philistines' origins in the Aegean. Archaeologists have found that the Philistine diet leaned heavily on grass pea lentils, an Aegean staple. Ancient bones discarded at the site show that they also ate pigs and dogs, unlike the neighboring Israelites, who deemed those animals unclean — restrictions that still exist in Jewish dietary law. 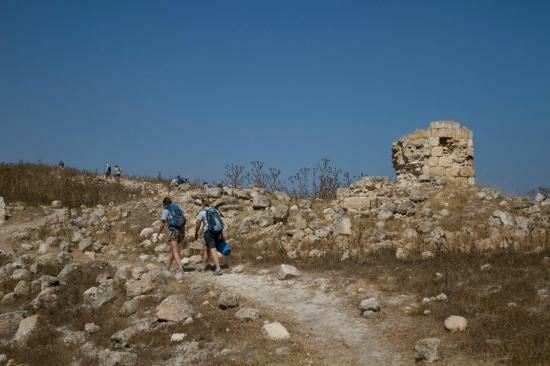 Diggers at Gath have also uncovered traces of a destruction of the city in the 9th century B.C., including a ditch and embankment built around the city by a besieging army — still visible as a dark line running across the surrounding hills. 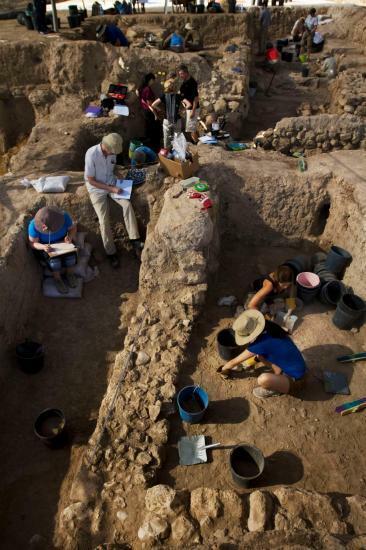 Gath's importance is that the "wonderful assemblage of material culture" uncovered there sheds light on how the Philistines lived in the 10th and 9th centuries B.C., said Seymour Gitin, director of the W.F. Albright Institute of Archaeological Research in Jerusalem and an expert on the Philistines. In 604 B.C., Nebuchadnezzar of Babylon invaded and put the Philistines' cities to the sword. There is no remnant of them after that. Crusaders arriving from Europe in 1099 built a fortress on the remains of Gath, and later the site became home to an Arab village, Tel el-Safi, which emptied during the war surrounding Israel's creation in 1948. Today Gath is in a national park. The memory of the Philistines — or a somewhat one-sided version — was preserved in the Hebrew Bible. 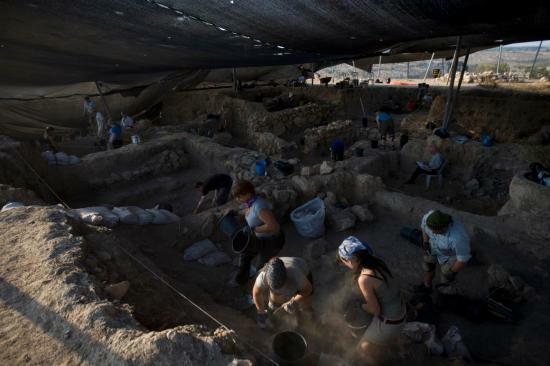 Diggers at Gath have also found shards preserving names similar to Goliath — an Indo-European name, not a Semitic one of the kind that would have been used by the local Canaanites or Israelites. These finds show the Philistines indeed used such names and suggest that this detail, too, might be drawn from an accurate picture of their society. "It doesn't mean that we're one day going to find a skull with a hole in its head from the stone that David slung at him, but it nevertheless tells that this reflects a cultural milieu that was actually there at the time," Maeir said.